Idea Factory held an event last week where it showed off a number of games that it has in the works for 2017. As you'd expect there's plenty of fanservicey goodness, as well as a re-release of one of the best visual novels of all time, but don't think that what was announced will be the only games Idea Factory releases in the year; this is a very prolific company. There wasn't even a Neptune game at the event, and you can be sure Idea Factory won't go a year without releasing a Neptune game in the west. But regardless, the games that were shown off at the event are all very exciting! See below for details and trailers. 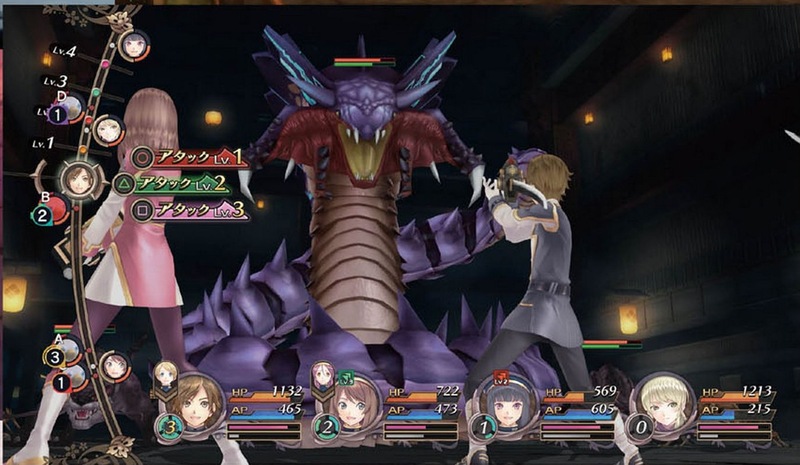 Idea Factory International announced that Dark Rose Valkyrie - released as Black Rose Valkyrie in Japan on 21 July - is coming to PlayStation 4 in North America and Europe in spring 2017. The game's story revolves around defending "humanity from the Chimera Virus as the new leader of Japan’s covert military agency (ACID)". There is a theme of betrayal, as you try to identify a traitor in your midst through visual-novel-style interviews - a task complicated by the heroines having “split personalities”. Enemies will change in form and strength as darkness sets. The character design is by Kosuke Fujishima, who is well-known to both manga and game fans as the author of classic series like Oh My Goddess! and also as one of the main character designers of the Tales series. The 'Tales of' scenario writer Takumi Miyajima also worked on the game. Overdrive! Characters can transform into their stronger split personalities mid-battle, but too many transformations will lead to fatigue! Customise attacks for each character, and do more damage with Riot Combos! In an interview, the game's director, Kenta Sugano, said: "we thought a turn-based RPG would give players a more relaxed sense of gameplay than an action-type might. On top of that, it seems like there are a lot of great Action RPGs coming onto the market these days, and many seem to view turn-based RPGs as less exciting. I wanted to show everyone that turn-based RPGs can still be really fun!" Otome visual novel Hakuoki: Kyoto Winds (released as Hakuoki: Shinkai – Kaze no Shou in Japan) will be released on PlayStation Vita and PSTV in North America and Europe in spring 2017 (winter for those in the southern hemisphere). Related reading: Matt's review of Hakuoki on Apple iPad. 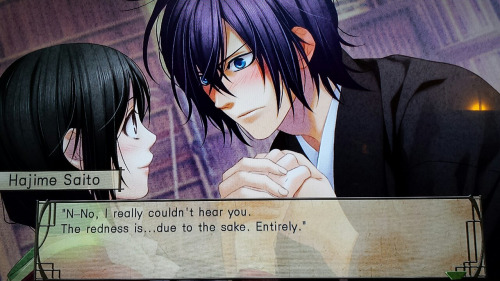 The Hakuoki series was first developed and released in 2008. Now we can relive the story - set in the mid-1860s at the height of the Shinsengumi influence - through this remastered VN. According to the game's description "As the Bakumatsu period in Kyoto ends, the young Chizuru, determined to find her father, will romance the famous samurai of Shinsengumi through a series of engaging stories and dramatic events." Completely new episodes and character routes have been added to the original version of the game, introducing more romance opportunities, new characters, and plenty of new paths. Idea Factory promises over 80 hours of romance action with 12 intriguing bachelors, and over 30 different endings to uncover in this tale of romance, friendship, and betrayal. Though why you'd want that when Souji Okita is the only husbando you'll ever need is something we don't understand. Original Japanese in-game voices will complement the English text. Finally, Idea Factory announced Mary Skelter: Nightmares, (released as Kamigokuto: Mary Skelter in Japan) for the PlayStation Vita and PSTV in North America and Europe, to be launched in summer 2017. The game will be published with English subtitles. Mary Skelter is a dungeon-crawling RPG by Compile Heart with a few twists to the formula. Special enemies, which can chase you through the dungeons, can be foiled with traps, or you can fight in turn-based battles, boosting your allies with blood transformations. 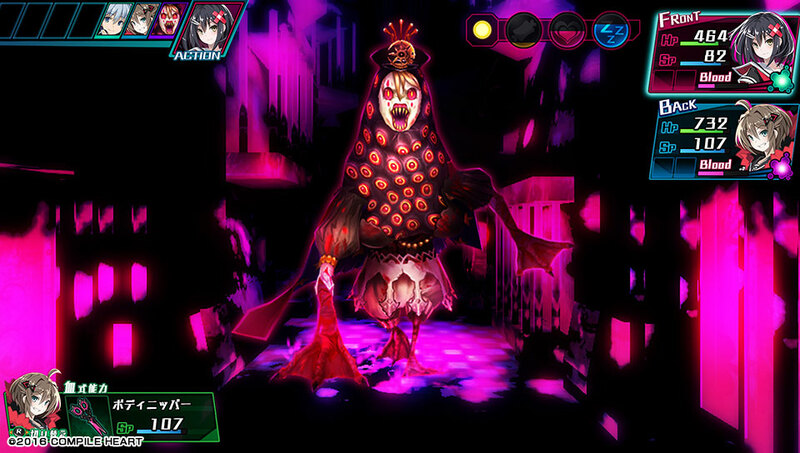 Characters can transform with stronger stats and extra skills - however, there is the possibility of entering Blood Skelter Mode (a berserk mode) with extended fighting. Related reading: For an example of Compile Heart's dungeon crawlers, check out Moe Chronicle. Matt's review of the English import version. This game looks like it has a particularly dark theme, filled with chains and prisons and gothic-like imagery. People who enjoyed the aesthetics of games like Criminal Girls will probably appreciate this one, and we know that Compile Heart knows how to make really good dungeon crawlers.